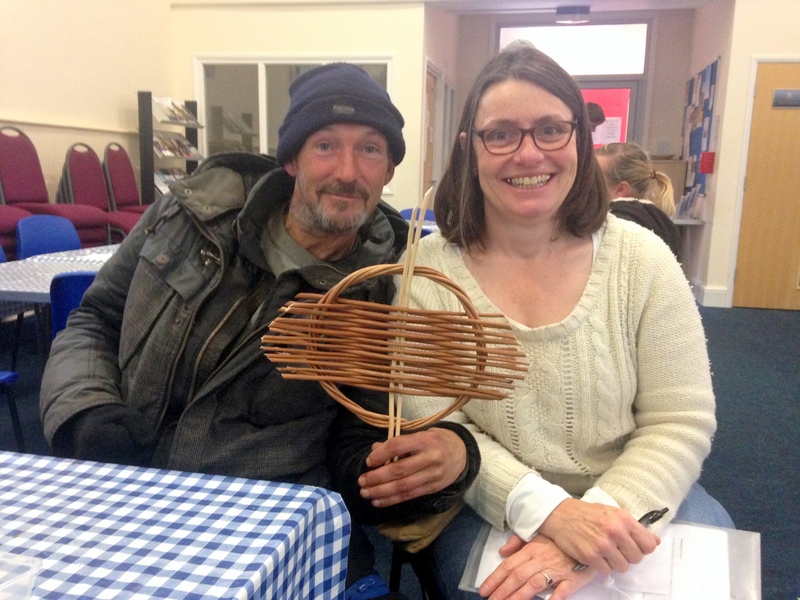 We spent a very enjoyable morning looking at heritage fishing baskets and making willow plates with people at Herbie’s on Monday. This was the first of our Weaving Connections sessions with the group and an introduction to willow working. 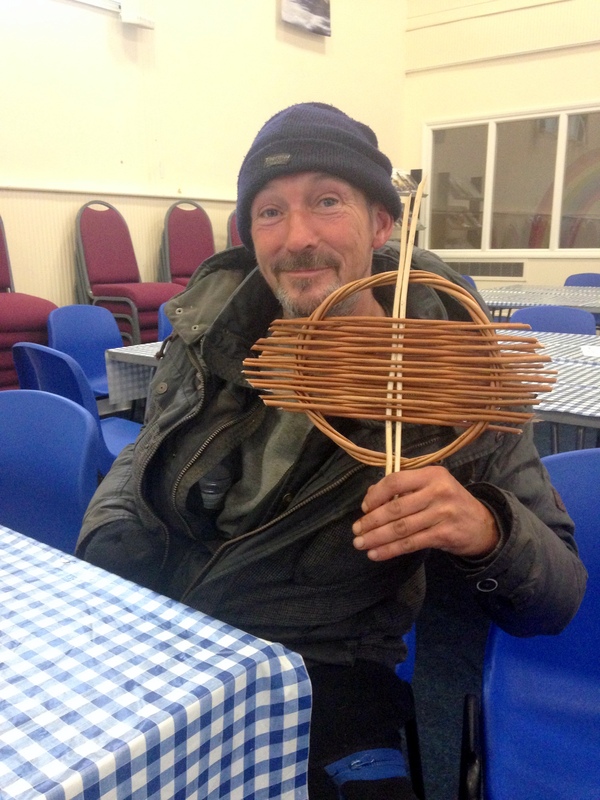 Clare worked with Steve as he made this rather lovely willow plate. Next week we are going to make a start on some swill baskets!